Adinah Dancyger is currently in the midst of experiencing the whirlwind of this journey first-hand. 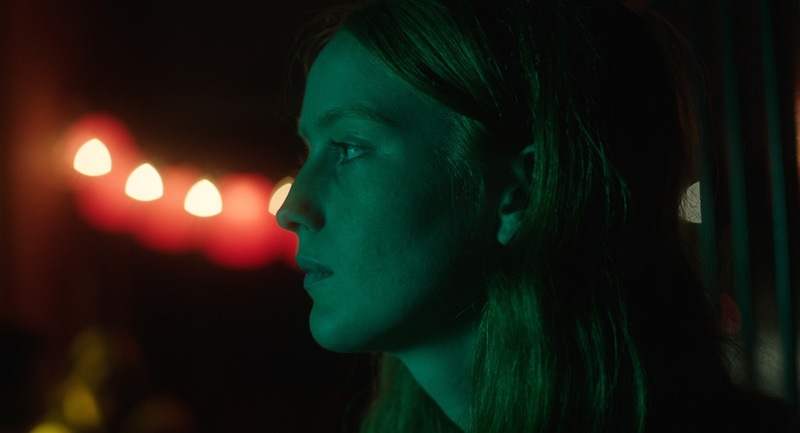 Her short film Cheer Up Baby, the story of the aftermath of a young woman’s assault on the subway, will be screening as part of the shorts program at this year’s Sundance Film Festival. This won’t be the film’s first festival, however – Cheer Up Baby was also screened at the 2017 New York Film Festival, as a part of the NY stories section. Even though Cheer Up Baby is a reflection of Adinah’s vision, it’s had some important supporters on the journey to Sundance – Claire MacDonald, EP at Anchor Light, a production company that sets aside funds specifically to finance projects by women directors, played a key role in helping to fund the project. “I believed in Adinah as a filmmaker and want to support female filmmakers, so I was able to contribute to the financing through the film fund I manage with Anchor Light,” said Claire. 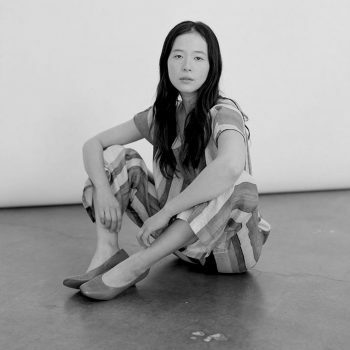 Adinah Dancyger is a Korean/Polish/American filmmaker from New York City. She graduated from Bard College with a Bachelor’s Degree in Film Production. 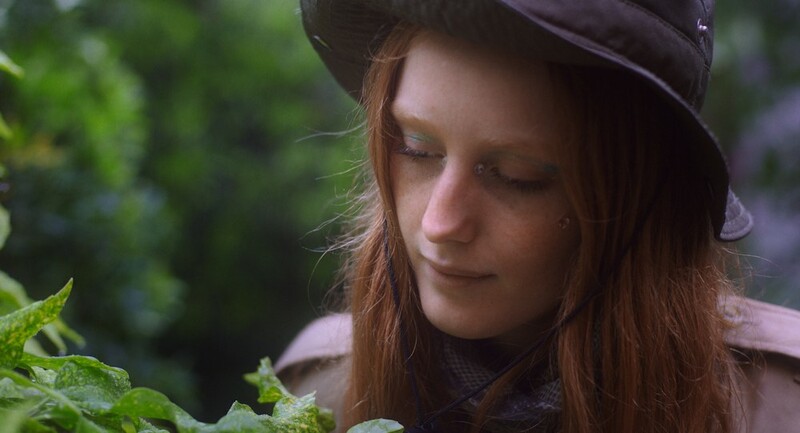 Her short film Chopping Onions (2015) traveled the festival circuit internationally, from Cannes, Berlinale, Hamptons International, BUSAN Children and Youth, Reykjavík International Film Festival, and more. Dancyger has directed films for Dazed & Confused Magazine, been featured for her works on platforms such as Nowness, Vogue, I-D Vice, Nordstrom, Raveline and Fader. Interested in the documentary/fiction crossover, Dancyger likes to blend reality and fiction through personal and subtle storytelling. Although we won’t be able to screen Cheer Up Baby on Free The Bid until after it has finished the festival circuit and found an online home (stay tuned for part 2! ), we had the opportunity to talk through the film’s life cycle with Adinah. 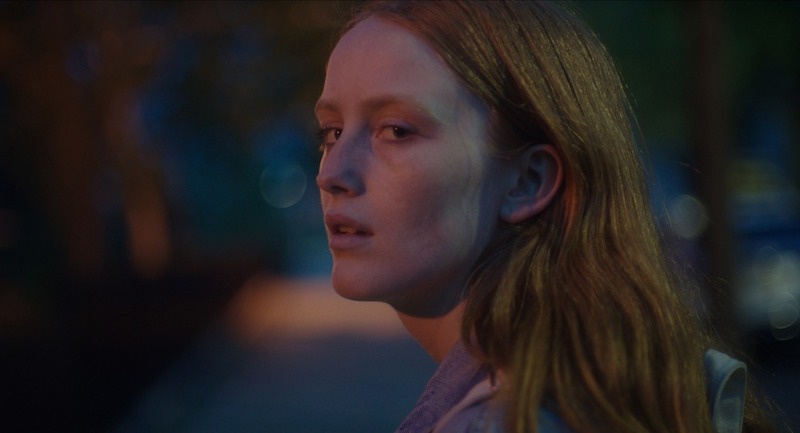 Read on for her thoughts on the catharsis of exploring personal stories on film; the importance of a great producer; challenges of self-funding a project; and the freedom of crafting your own path. First of all, congrats on Cheer Up Baby screening at Sundance! What are you most looking forward to about the festival? Thanks! I’m so excited to go out there with members of the team and trudge through it together. There is so much I don’t know about what I’m getting into and am looking forward to being a sponge. Let’s track the timeline of how the film got made – tell us about beginning the process of writing. I started writing this maybe over a year ago. I kept putting it down because I didn’t know how to approach it. I remember being in my backyard with my roommate, who is a musician, and we were talking through our creative blocks. We were getting pretty riled up about tragedies that were happening left and right, feeling really angry and trying to make use out of that energy. Recent times were triggering certain memories, some of which I have buried deep and reemerged at the right time. So I started in rage, feeling like this was a hate letter to a certain type of person as well as the city. This was a tough script because I felt I was walking on eggshells as a filmmaker and as a woman. I tried to do research in a formal way and put that aside because it felt too clerical. Talking through stories with friends, retelling my own story to myself and others, taking the subway to observe it and different scenarios I found myself during the writing process became the backbone of the story outline. I felt this insecurity about the project because I didn’t want to take ownership over this experience just because I was making a film about it. I just wanted to make it in a way that was my own and could be relatable in a universal way. When did you begin work on the project? What was the initial idea? The initial idea was the first shot of the movie. I didn’t really know why, but I started to think about images and expressions that were in the emotional realm of what I wanted to evoke. It’s a personal experience I wanted to take back with vengeance, but more importantly find closure. I don’t think I have found complete closure but there’s something about butchering a personal experience through making a film that feels cathartic. What the film is is just a sliver of a larger emotion and issue. I kept saying to myself I wanted to make a story about a deep internal process. It’s something that’s impossible to articulate which is why this it was so difficult to write. I wanted to tell a story with a little dialogue as possible. How did you go about funding this project? Was the process of funding, producing and directing this film any different from work you’ve directed in the past? Emily and I had tried just about everything to find funding through grants, partnerships and even endorsements but all of that failed. I felt pretty shameless, which I hated. We were really close to getting two grants, but they both didn’t pull through. I wanted this so badly and that at the end of the day was probably going to front my own money, which I did and with help (I recently just paid off that debt!) I also wrote the project in a way that I knew it would be feasible to make. That’s pretty unromantic, but that’s the way it goes when you don’t have the resources. Despite that producer mentality, it didn’t get in the way of how I wanted to tell the story. You make do with what you have and come across amazing surprises through the process. We pulled in a ton of favors, people did not get paid a standard rate and we ate day old sandwiches, albeit tasty ones. For a short, it’s a little easier to make this happen since you’re only suffering for 4-5 days. End of the day beers help a lot. My last few projects were Kickstarter funded. But because I had done it twice and hated the process of putting myself out on the line that way, I was more willing to fund this myself and figure it out later. I did a lot of jobs I didn’t care about to break even afterwards. I think this was around the same amount as my last short, and I approached it in the same way in terms of being scrappy with production. We were able to get a great camera and even more so a great crew who were all willing to make it work. I’m so surprised by the look, given we didn’t have much, but there’s so much you can do with so very little. The main difference between this project and the others was having a proper producer. I learned a lot about how to do things officially. We didn’t necessarily do everything up to code but I was learning that how I tend to operate is usually not “the way.” It’s good to know. We know it’s such a hustle to get a short film made, and having the help of Claire MacDonald at Anchor Light must have been a real benefit to the project. When you were working on the film, what was your idea for where it would end up – did you plan on submitting to festivals, releasing it on an online content platform, or having it live anywhere else? Claire may have been one of the only people besides Emily McEvoy, our producer, who truly cared about making this project a reality. Without her, I don’t think we would have been able to pull through. We had several conversations, even some time before I knew what this project was going to be and she was just excited for me to make something again. When you’re making something on your own, you realize that no one cares about it as much as you. That reality will always be true, but having one or two people who check in on you, make sure you’re eating and can be great advisors as creative minds is more than ideal. The initial plan was to see if festivals would pick it up, but Emily and I have always imagined this film can be part of a larger conversation, outside of filmmaking, so we’re hoping for that to be another life after the festival circuit. I have NYFF to thank for this initial push. It was a good deadline for me to finish the project, though it was quite a treacherous editing process to make that happen. How did you start to work on production of the film? How long did the shoot take? I was at first just writing and working closely with a producer-friend through the writing process. I wanted that person to produce this short but we don’t live in the same country. He introduced me to Emily and so we met for coffee after reading an early draft and I felt a really good thing going. Emily was also a very strong voice for me while I was editing the script. It was a pretty straightforward handshake kind of pact, which is how I like to do things. She took over the responsibilities of a producer, which made the rest of the process so much easier to do as a writer/director. I’ve never worked with a producer in an official way, so it was a learning process for me to let go and to not procrastinate on those details out of fear of directing. The shoot was only 4 days. I remember having nothing in place a week or two prior but I believed that it would happen one way or another, which it did! A little luck, some begging, delusional thinking, and a lot of fantastic people. It must have been exciting to have Cheer Up Baby included in the 2017 New York Film Festival. Can you talk us through the journey from completion of the film through its inclusion in both NYFF and Sundance? Ever since NYFF started their New York Stories section, which is a fairly new program, it was something I hoped I could be part of. Having grown up in NYC, knowing about this festival all of my life as an enigma, and also making films that are set here – having a film premiere there was always the dream. I’ve never shown a film in New York City, so to show this one in particular, with many people who were part of it and friends who witnessed me slaving over it, was a really nice reward. It’s an incredible festival – mainly for their programming, unlike many I’ve been to. NYFF really encourages pushing the form and questioning the medium and that, to me, is very inspiring. Sundance was a total surprise. I applied in August and assumed I just said goodbye to 60 dollars when I submitted. I got a phone call on a Sunday evening. I get so many telemarketer numbers that I ignore but for some reason I was feeling particularly in a good mood and decided to see who are what this call was from. I was so surprised and waited for an email to make sure I didn’t imagine that it happened. I’m still shocked but now that I got that email, I’m excited for what’s to come. How did you get your start as a director? What led you to making the kinds of work you make currently? Talk us through your filmmaking trajectory. I studied filmmaking at Bard and I wanted to be serious about it. I had incredible teachers, all so different, which was the best part. My thesis film was the gateway to my understanding of the film festival circuit. I was extremely eager and available to go to a majority of the ones my film showed, and that taught me a lot. I’m a pretty compulsive maker of things, so the more I pushed myself to write scripts, make films with friends and music videos for friend-musicians, all that somehow was another gateway into making work outside of narrative and my friend circle. There’s a chain reaction to putting things out into the world. I’ve put myself on the line a lot, do most things on my own, and here and there it pays off. After graduating, I made a film with my two close friends Victoria Cronin and India Menuez. It’s a road trip feature film we’re in post-production for. Through that film that I was editing for a portion of time, I really felt like I was beginning to understand editing, which is another major factor of what I do. How often do you both write and direct the films you make? How do these two processes inform one another in your work? They completely inform each other, they’re a unit. I write, direct and edit all the things I make (for now). It’s hard for me to imagine not doing it all. At least, it’d be hard to imagine writing something and not directing it – it’s probably a control thing. It offers liberty as a filmmaker to come up with ideas entirely your own and birth it. This is specifically for my own work – work outside of that is a different story. Are there any specific hallmarks or themes that you find yourself addressing in your work frequently? I’m not sure if there are hallmarks, but there’s definitely a theme of family, cultural identity and the disparity of language that I love to explore. It hits close to home. A majority of my work and central characters are women, and each story lends itself to a different aspect of what that means to me. It’s not that I don’t want to write about men or that I haven’t– I do and want to explore this more deeply in future work, but in my past and my foreseeable future, I am exploring nuances and questions that feel natural to be told through women. However, what I am really trying to get at is reaching the broadest audience possible. I want to make things that someone who doesn’t understand me or the context personally can empathize with. All this tied with strong visual language is what I find to be more interesting than hefty dialogue. I’m pretty introverted when it comes to talking about difficult emotions, or even lighthearted emotions, but through film I get to play with images, weird sounds and negative space in a way that mimics how I communicate in real life in some way. Emotions that are hard to articulate, vulnerability and internal struggles are topics of discussions I gravitate towards. I always feel like I want to say something but never quite know how to, and that’s the very thing I strive to expose in my characters and their situations. What’s your on-set persona as a director like? How do you approach leading the crew? Oh, I have no idea. It varies depending on the set. With my previous short film, Chopping Onions, we were working with my grandmother. It was very emotional for me and I was handling family more so than a film (though I do strive to create a family-like environment on set). For Cheer Up Baby, a lot of the cast and crew were my friends, India being one of my oldest, closest friends, so that was much easier to be myself and be very focused when I needed to be. It felt like the right amount of professionalism and candidness. But I would say it’s pretty non-traditional. I work with people I like, to be able to laugh and have a good time despite the emotions on screen. I might ask people if they’re “ok” too much, but I am always worried people aren’t enjoying themselves or drinking enough liquids because the sets are beyond low budget and we’re all scrambling to make it work. I also start shouting out different words and run-on sentences when I get excited or nervous. I think I’m saying something straightforward but it probably sounds crazy. Once you find something that works, which was happening aesthetically and in the story, you run with it and find a weird language between your collaborators. This time around, I was slightly less neurotic since I had a great producer. I was able to focus on directing for once. However, I do find the limitations are really exciting – coming from an education at Bard where we had no resources and needed to figure everything out, I’ve grown to hate wasting time and love figuring out how to be crafty with the little we have. I remember on one set my gaffer made a bounce board out of aluminum foil and I fell in love! I found a piece of material in the trash recently and put it over the camera and loved that. I don’t think it’s necessarily “cool” to do but when you have to figure out how to make something interesting to work, you begin to look at everything with hopeful prospects. Who are some of your favorite women that you’ve had the opportunity to work with on previous projects? Pretty much every woman I’ve worked with in film. And when I work with close friends, it creates a new layer of bond. It’s not easy but it feels very powerful. Mia Cioffi Henry, who shot Cheer Up Baby, is the first female DP I’ve worked with. We didn’t know each other before but I had a good feeling when she reacted to the script. During and after we wrapped I was so excited to think about the next project we’d do together, which we did on two music videos for another incredible women and musician, Kaya (OKAY KAYA). What are some of your long term goals for your directorial career? In the short term, anything else we should look out for from you in 2018? Ultimately, to make features. In general, to make work I believe in, both my own and beyond narrative. I really love the short form but I think a lot of my work has been in some way to prepare me to make a feature. I am finally committing to one idea now and am currently in a writing cave for it. Other than that, having long term working relationships with various people would be amazing. I think I am finding that slowly and hope through each project I can find my groove with people as a unit. Short term, but also long term because this is an ongoing project, I am working on music videos with musician Okay Kaya. The ones we have should be released in the next couple of months! Free The Bid is committed to advocating for diverse perspectives and points of view. What do you think are some of the benefits to diverse representation on both sides of the camera lens, including the crew? Perspective. It broadens the experience emotionally, intellectually and creatively. It’s beyond vital to surround yourself with people who challenge you in that way, not through debates but through personalities, manners and philosophies. I have had the privilege to be surrounded by all sorts of people on an everyday basis and it just makes you a more open-minded person, I would hope. I can tell in a short period of time if someone isn’t used to being surrounded by like-minded people. That makes me uncomfortable. And through filmmaking, you’re trying to make something important, to access people in a large way, so what better way is there than to create that both on and off screen? What final words of advice would you provide for young directors just getting started? Make things whenever and however you can. When you’re starting out and have the freedom of no one telling you what to do, the options are endless (creatively). I know it’s difficult to not think about long term expectations, but when one make things and most importantly finish them, the world responds. There’s no formula for how to successfully do things, so as long as you have something to say, someone will listen. Filmmaking is also a very lonely, so you have to have a lot of self-will to do it. You have to sacrifice a lot, but if you love doing it, you don’t see it as sacrifice. Free The Bid will be at Sundance 2018 – will you? Stay tuned for further Sundance coverage!